Stop Slow Traffic Control (NSW) Pty Ltd and/or its respective suppliers make no representations about the suitability of the information contained in the documents and related graphics and/or software published on this server for any purpose. All such documents and related graphics are provided “as is” without warranty of any kind and are subject to change without notice. The entire risk arising out of their use remains with the recipient. In no event shall Stop Slow Traffic Control (NSW) Pty Ltd and/or its respective suppliers be liable for any direct, consequential, incidental, special, punitive or other damages whatsoever (including without limitation, damages for loss of business profits, business interruption, or loss of business information), even if Stop Slow Traffic Control (NSW) Pty Ltd has been advised of the possibility of such damages. 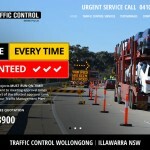 While Stop Slow Traffic Control (NSW) Pty Ltd uses reasonable efforts to include accurate and up-to-date information on this Web site, Stop Slow Traffic Control (NSW) Pty Ltd makes no warranties or representations as to its accuracy. 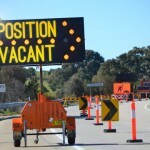 Stop Slow Traffic Control (NSW) Pty Ltd assumes no liability or responsibility for any typographical or other errors or omissions in the content on this site. The Company does not guarantee or warrant that the Site will be uninterrupted, without delay, error-free, omission-free, or free of infections by viruses or any other manifesting, contaminating or destructive properties. Therefore, the information is provided ‘as is’ without warranties of any kind, express or implied, including as to accuracy, timeliness and completeness. This disclaimer does not attempt or purport to exclude liability arising under Statute, if and to the extent such liability cannot be lawfully excluded. Copyright© 2015 Stop Slow Traffic Control (NSW) Pty Ltd. All rights reserved. All other product names are the trademarks of their respective owners. Linked sites are not under the control of Stop Slow Traffic Control (NSW) Pty Ltd is not responsible for the contents of any linked site or any link contained in a linked site. Stop Slow Traffic Control (NSW) Pty Ltd provides links to you only as a convenience, and the inclusion of any link does not imply endorsement by Stop Slow Traffic Control (NSW) Pty Ltd of the site. Copyright © 2015 Stop Slow Traffic Control (NSW) Pty Ltd. All rights reserved.